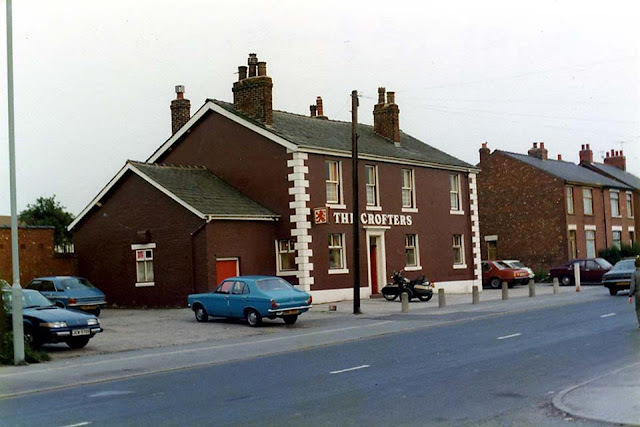 The Crofter's Arms on Leyland Lane started out as a Beer House called the "Farington's Arms" and was opened some time in the late 1830s by brewer John Langton. 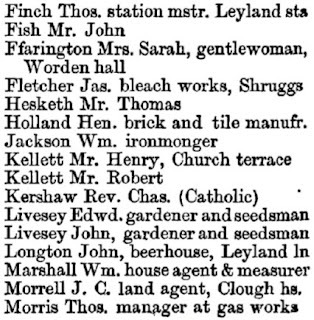 Listed landlords at the beer house were John Langton (1841-58), James Robinson (1861), Margaret Glover (1869-87), Edward Glover (1887-91), James Pearson (1899-1901) and William Taylor (1911-25). 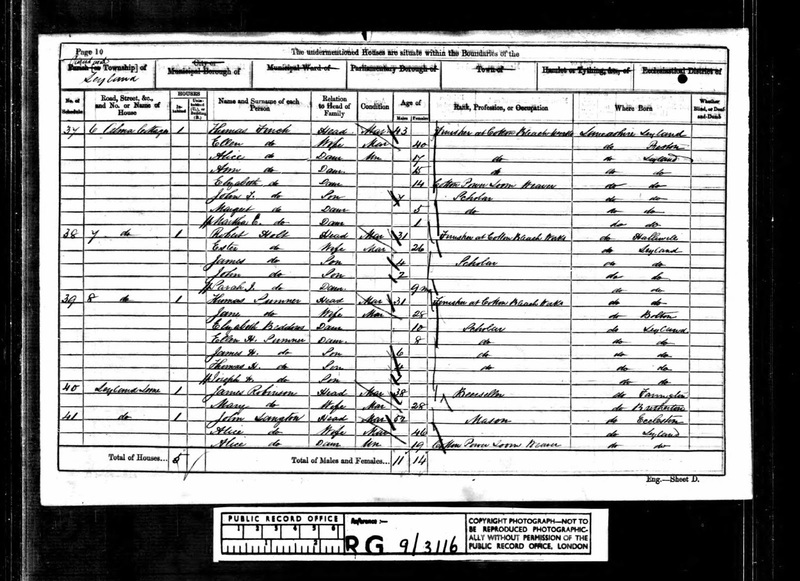 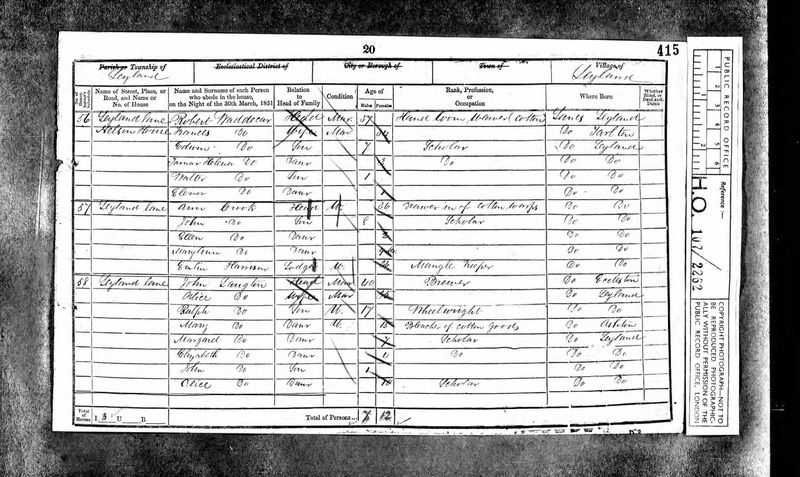 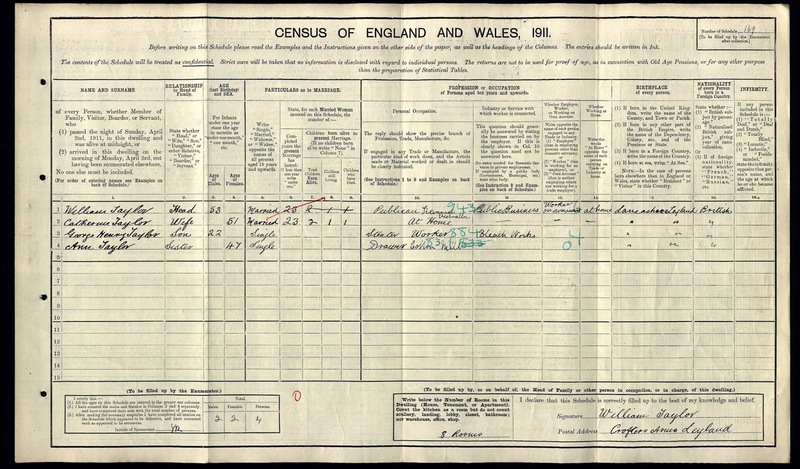 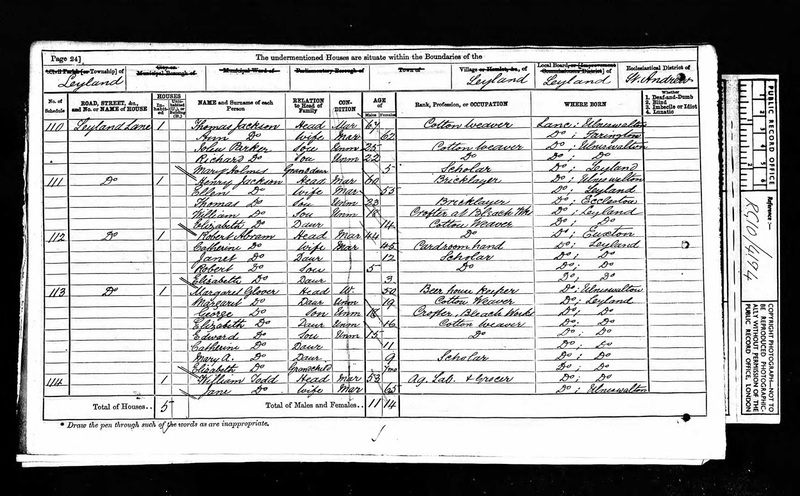 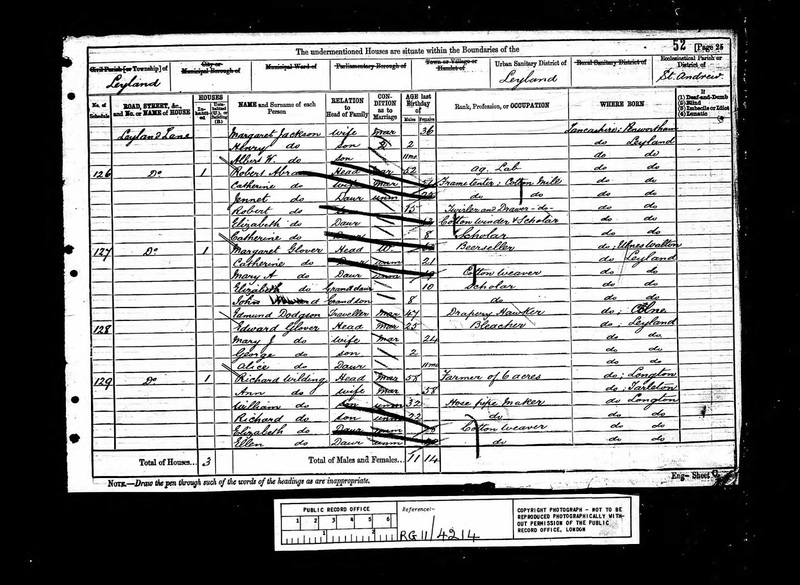 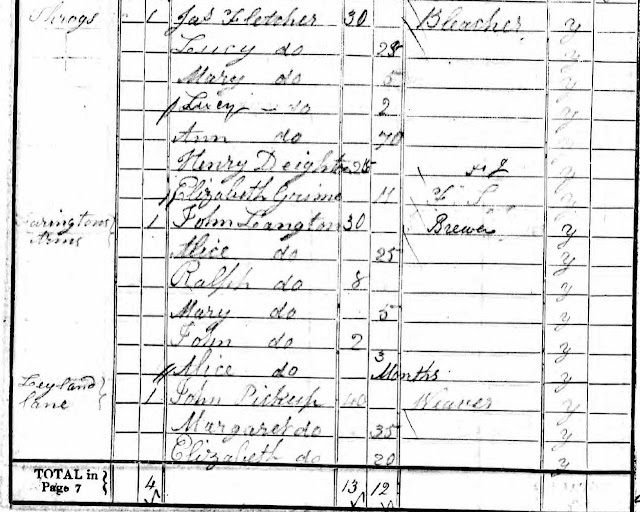 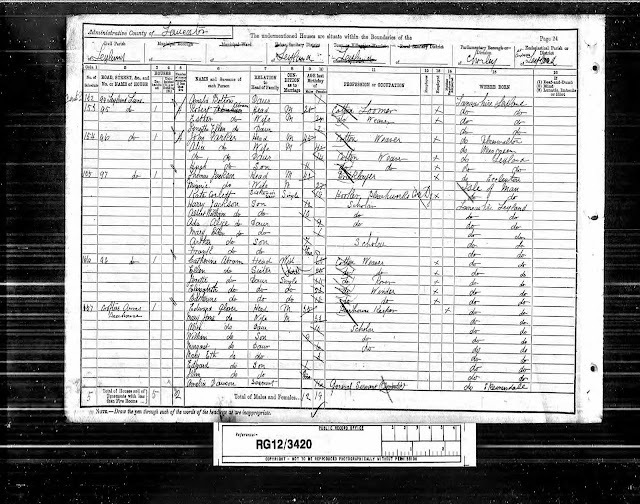 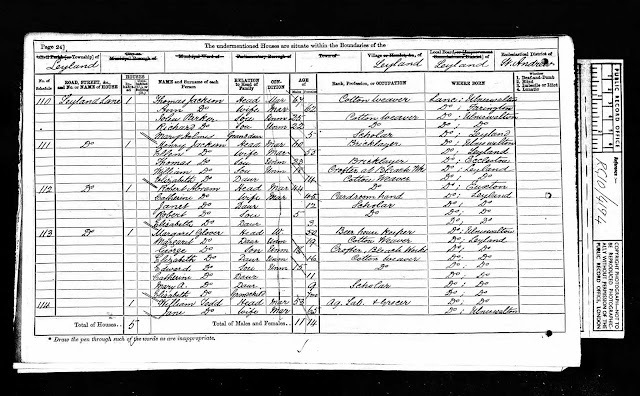 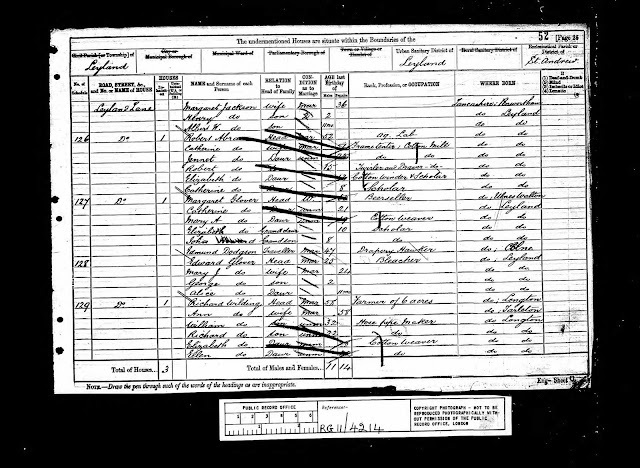 By the time of the 1861 census below John Langton had given up the business to a James Robinson but remained living next door working as a mason. 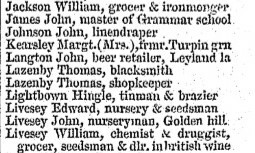 It's entirely possible that John continued to brew the beer but the beer house itself was let out to James Robinson. 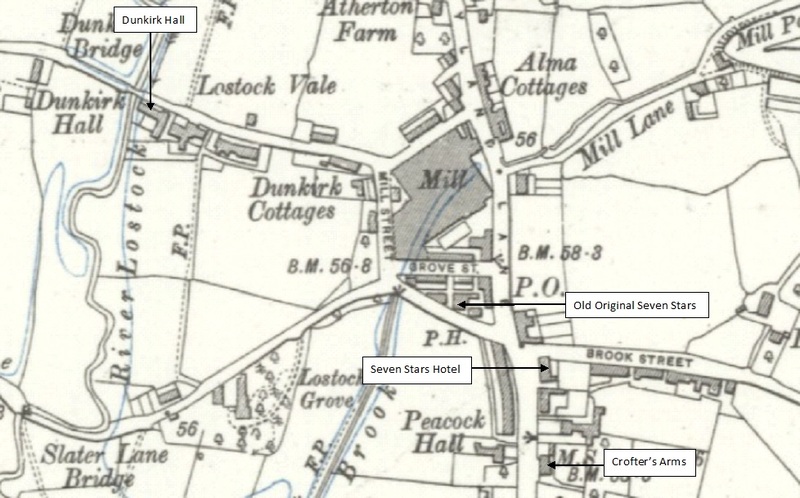 George Glover and his wife Margaret ran the Seven Stars Hotel, just a few doors down from the Crofter's Arms on Leyland Lane during the 1850s and early 1860s. On Thursday last an inquest was held at the Seven Stars Inn, Leyland, on the body of George Glover, who had committed suicide by hanging himself. 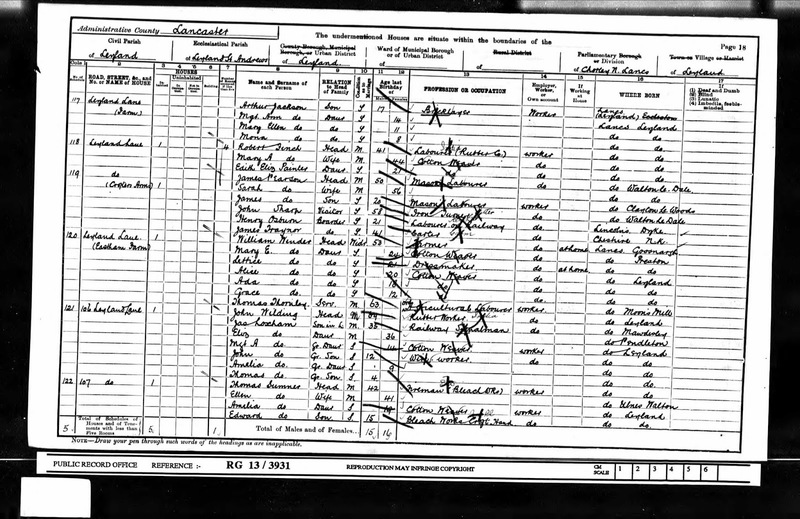 The press excerpts above and below document a turbulent year for Margaret Glover with her husband's suicide and then Baptism of their daughter Mary Ann occurring within days of one another. 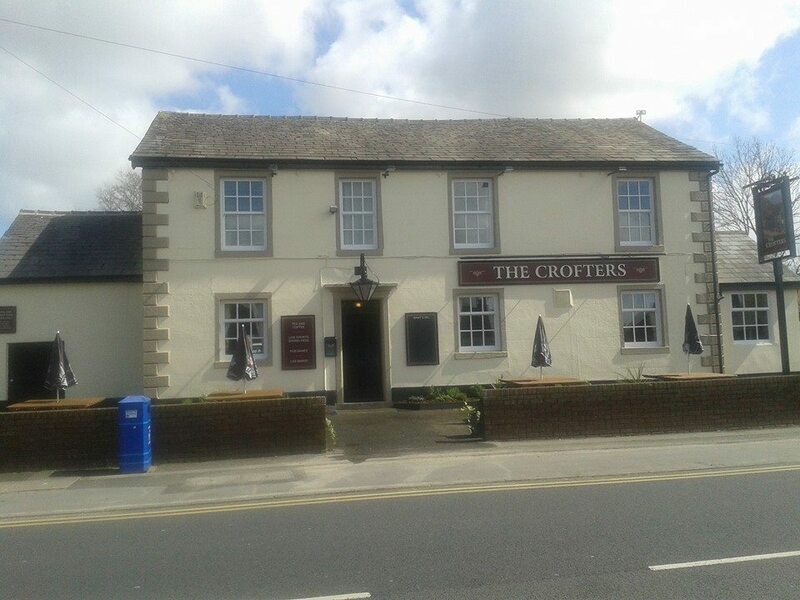 It is little wonder that she chose to leave the Seven Stars shortly afterwards to make a new home for herself and her children in the Crofter's Arms. 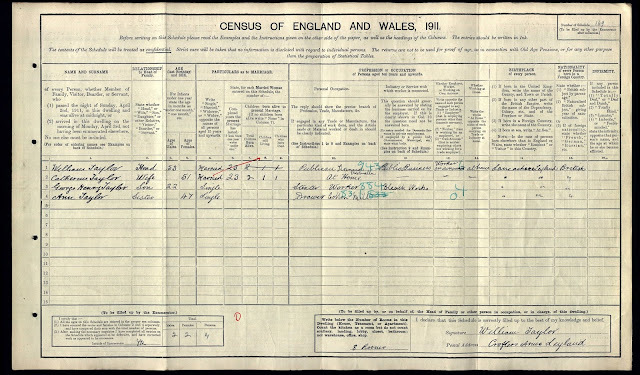 I cannot confirm the exact date Margaret Glover took over the Crofters but it is likely to have been shorty after George's death. By the time of the 1869 directory below she was listed as a "retailer of beer" confirming she was now running a beer house rather than a fully licensed public house, which the Seven Stars had been. 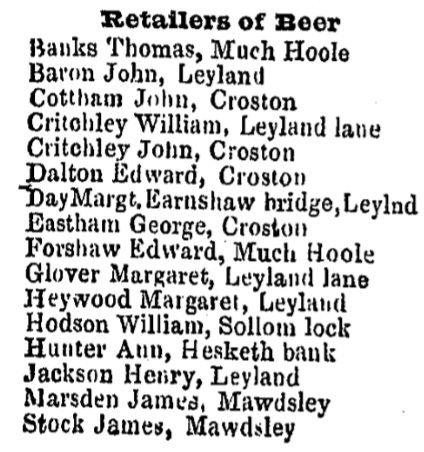 Bolton Bankruptcy Court, yesterday, before the Registrar, Mr. T. Holden, John Robinson, late of the Crofters’ Arms, Leyland, whose statement showed a deficiency of £129, came up for his first public examination. 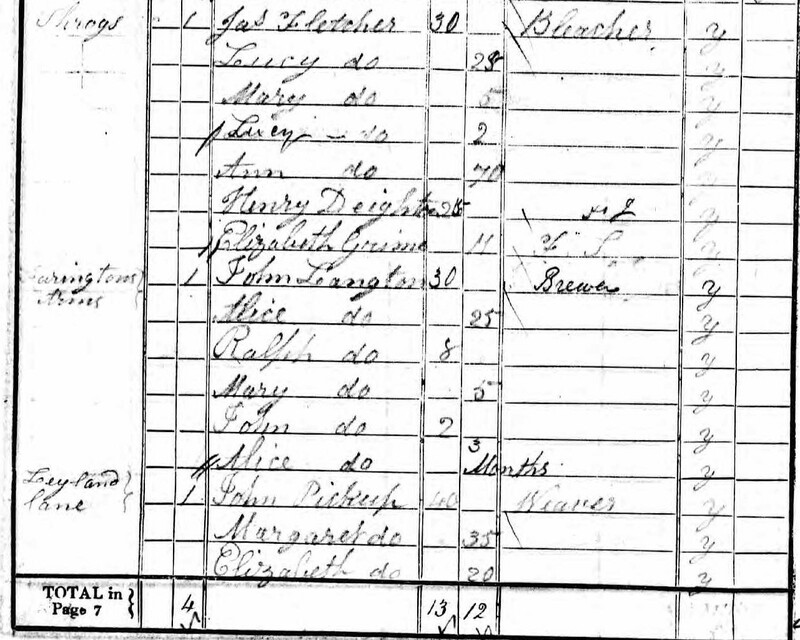 John Culshaw, wheelwright, of Brook street. 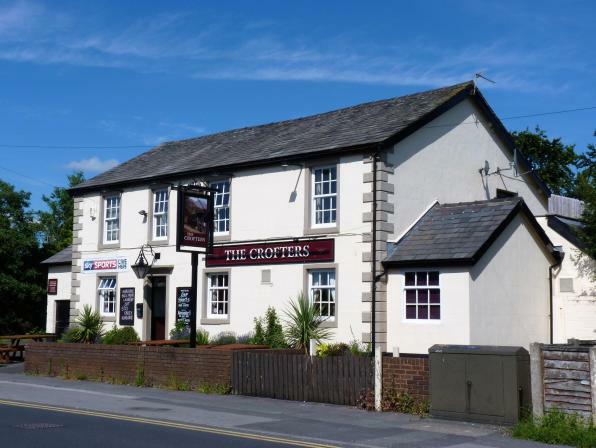 Leyland was summoned for being drunk on licensed premises of the Crofters’ Arms. 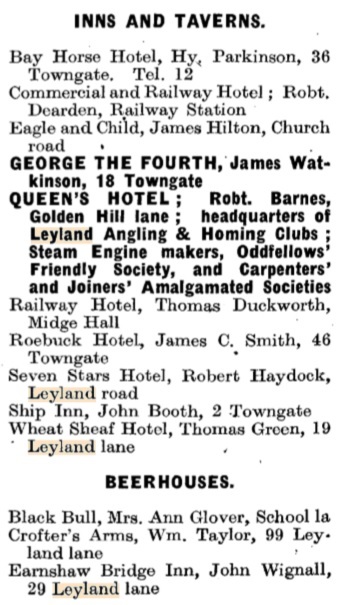 Leyland-lane, on November 4th.—P.C Smith said visited the house question and found defendant drunk in the vault. 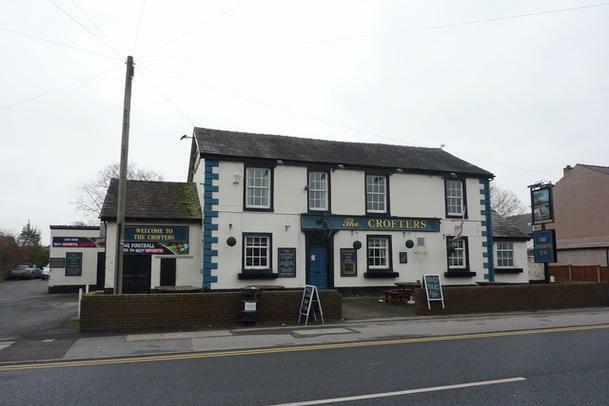 The Bench granted the applications for the bowling greens at the Railway Hotel, Midge Hall, and Crofters* Arms Hotel, Leyland. 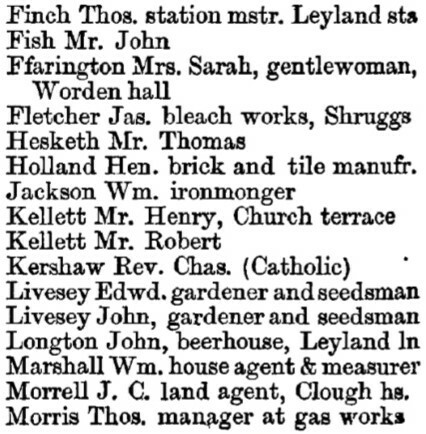 It was pointed out to all licence-holders that the bowling greens were not part of the licensed premises.